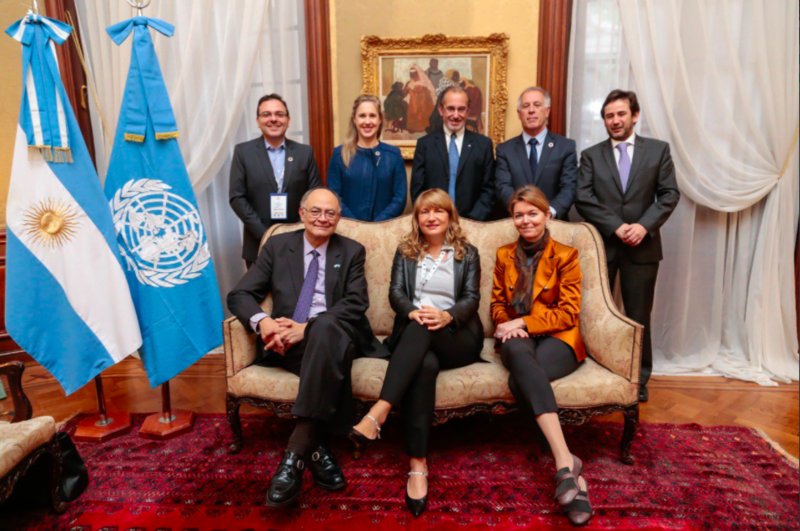 BUENOS AIRES, Argentina, April 27, 2018 /3BL Media/ - Today, the United Nations Global Compact and Global Compact Network Argentina concluded their two-day event in Buenos Aires, Making Global Goals Local Business – Argentina. Nearly 600 local and global leaders from business, finance, civil society, Government, Global Compact Local Networks and the UN attended the event, organized to underscore the impact of multi-stakeholder partnerships and responsible business action in support of the UN Global Goals. In a special video message welcoming attendees to the event, Amina J. Mohammed, Deputy Secretary-General of the United Nations, remarked, “The 2030 Agenda is a transformative plan for our world. It will take more than business as usual to achieve it. We need to foster a new generation of partnerships and the private sector is critical — not only to help us achieve our common goals, but also we count on you to align your business models with the 2030 Agenda to multiply the impact.” She thanked participants of the UN Global Compact for committing to its Ten Principles, and encouraged companies everywhere to join the initiative. A key focus of the event was on how business can take a principles-based approach to the 17 Global Goals, and indeed sustainable development more broadly. This approach — rooted in the Ten Principles of the UN Global Compact — is a central reference point for all companies looking to contribute to the Global Goals. The event drew attention to how implementation of the Ten Principles into business strategies and operations is itself a key contribution to the realization of the Global Goals, and a vehicle for achieving the broader vision of the 2030 Agenda to foster peaceful and inclusive societies. The event featured the launch of the digital Blueprint for Business Leadership on the SDGs, an interactive resource that challenges business to think critically about how five leadership qualities — Intentional, Ambitious, Consistent, Collaborative and Accountable — can be applied to their strategies. It encourages companies to adopt holistic and systemic solutions to achieve the scale of impact required for realizing the Global Goals, and is based on a recognition that positive contributions to the Goals require a foundation of integrity and responsibility. The UN Global Compact also released a report focusing on business action in the region, Business Partnerships for the Global Goals: Advances in Latin America and the Caribbean. The report highlights that an overwhelming majority of companies participating in the UN Global Compact in the region — 80 per cent — are taking action on the Global Goals, the highest engagement anywhere in the world. The report also summarizes key findings from a report on progress from the Economic Commission for Latin America and the Caribbean. During the closing plenary, Lise Kingo announced the launch of the search for the next class of UN Global Compact SDG Pioneers. Each year, as part of the mission of the UN Global Compact to mobilize business to advance the Global Goals at the local level, the initiative recognizes a group of SDG Pioneers — business leaders who are doing an exceptional job of supporting the 2030 Agenda. A video message highlighting the 2016 and 2017 SDG Pioneers was shown to commemorate the launch of the search. The 2018 SDG Pioneers will be announced in September, and nominations open on 3 May. 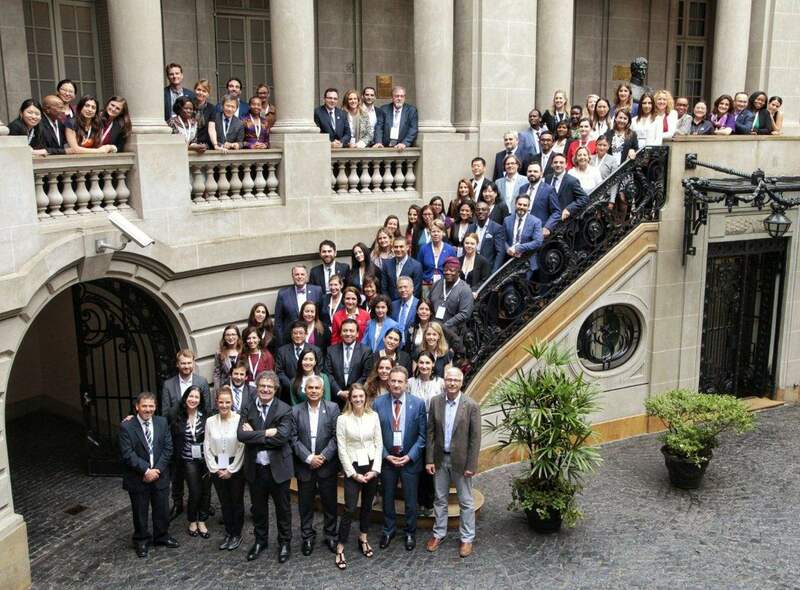 As a precursor to global discussions on national progress taking place later this year, Making Global Goals Local Business – Argentina was an opportunity for business to play an active role in taking stock of progress on the Global Goals across Latin America and the Caribbean. It followed the XVI Annual Local Network Forum (ALNF), which explored how Local Networks can play a leading role in facilitating private sector engagement with the Global Goals. The ALNF brought together 100 Local Network Contact Points and Representatives from around the globe to discuss Network governance and related activities. To ensure substantive outputs from the event, the UN Global Compact aims to take these conversations on local implementation forward during the High-Level Political Forum this July — an intergovernmental forum where select countries will submit voluntary progress reports on the Global Goals. Then, the UN Global Compact will bring the voice of business to the global stage during the 73rd session of the UN General Assembly in September at the UN Global Compact Leaders Summit 2018, featuring the CEO Roundtable and the UN Private Sector Forum. The United Nations Global Compact is a call to companies everywhere to align their operations and strategies with ten universally accepted principles in the areas of human rights, labour, environment and anti-corruption, and to take action in support of UN goals and issues embodied in the Sustainable Development Goals. The UN Global Compact is a leadership platform for the development, implementation and disclosure of responsible corporate practices. Launched in 2000, it is the largest corporate sustainability initiative in the world, with more than 9,500 companies and 3,000 non-business signatories based in over 160 countries, and more than 70 Local Networks. For more information, follow @globalcompact and visit www.unglobalcompact.org.